As an early years teacher, I am always looking for resources that will help my students learn through hands-on experiences. When choosing materials for my classroom, I endeavor to find versatile resources that can be used for multiple purposes. If you’ve been following me on Instagram, it will come to no surprise to you that one of my most loved resources is Modern Teaching Aids’ ‘Active World Tray’. There has not been a week that has gone by this year that we have not used this tray! Read on to find out the different ways we use our tray in our Prep classroom. One of my favourite ways to use our tray is to support our phonics learning. An important part of the Prep curriculum is learning the letters of the alphabet and the relationships between letters and sounds (phonics). When a new letter/sound is introduced, we do a range of activities to develop children’s understanding – some are structured, while others are more hands-on. The phonics trays have been very helpful for students to explore and consolidate this learning through hands-on experiences. For most letters/sounds, I have set up a phonics tray for students to engage with. I set these up in the morning before school so that when students arrive in the classroom they can see what our phonics focus of the day is going to be. We keep these trays out for our morning literacy rotations so each child has the opportunity to engage with these experiences alongside other literacy activities. Some of the phonics trays I have set up include ‘Ff is for farm’, ‘ Dd is for dangerous dinosaurs’ and ‘Zz is for zoo’. When students engage with these phonics trays, they explore the items, read the words associated with the letter, practice the sound we are focusing on and engage in collaborative, imaginative play. This semester, a major focus for us has been retelling the beginning, middle and end of stories. 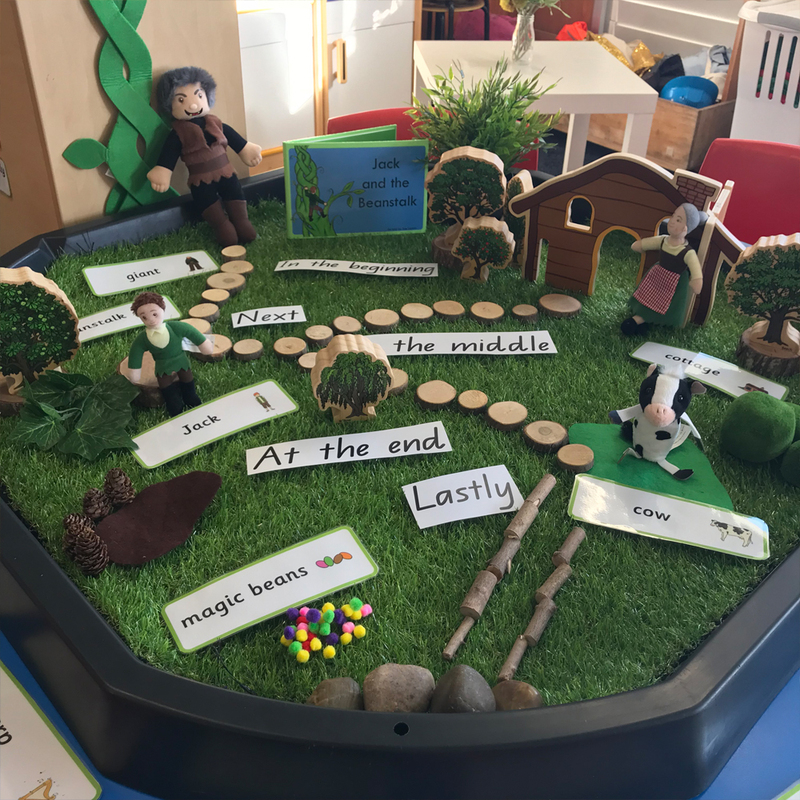 We have been exploring a range of activities to encourage our retelling skills including engaging with ‘retelling trays’, which have been set up in our Active World Tray. These retelling trays have been set up on the same days as we have been completing our written retells of each book. These trays are mostly set up during our literacy rotations so students are able to engage with the trays before writing their retells. This gives students the opportunity to orally retell the story and familiarise themselves with the story-line as well as key words and sentence starters. 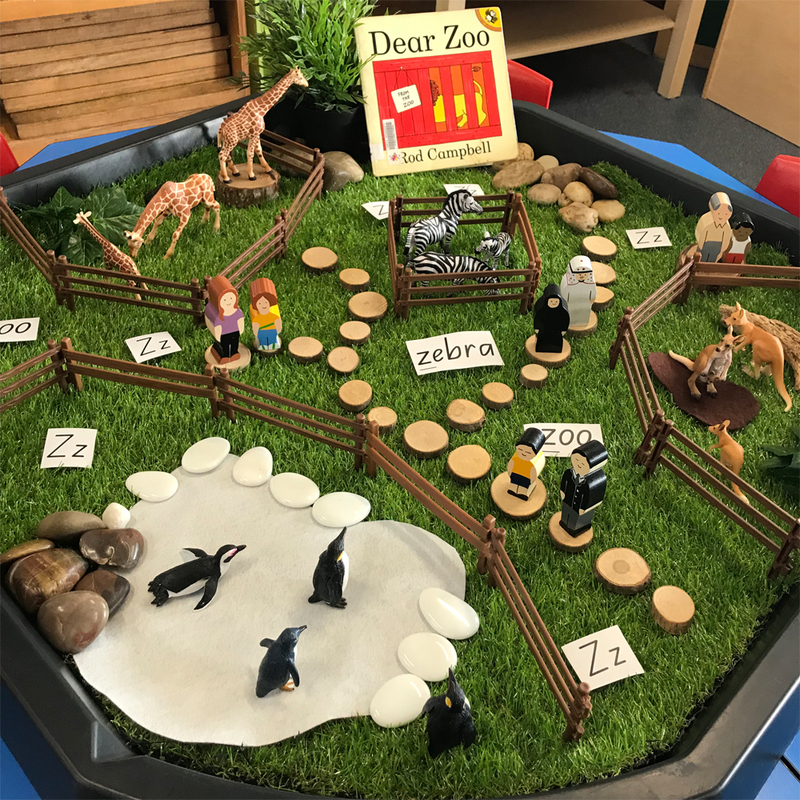 While the focus of these trays is on retelling stories, students are also developing a range of skills including oral language skills, vocabulary development, reading skills and social skills such as turn taking and negotiating. We have explored a number of stories this year and one of our favourite set ups has been ‘Jack and the Beanstalk’. Another way we use our Active World Tray is for rainbow rice activities. I love setting up literacy activities in rainbow rice as it gives an extra element of sensory exploration. Sensory play has many benefits for children and it stimulates children’s brains in different ways than ‘regular’ learning does. By having this sensory element to our literacy activities, students are using multiple senses to accomplish the given task. Some of our favourite rainbow rice literacy activities are; finding letters in the rice, finding and matching uppercase and lowercase letters, finding letters to spell sight words and CVC words, and, going fishing for sight words. I have been using the same batch of rainbow rice for over a year now. It is very easy to store in containers and pull out when needed. The great thing about Active World Trays is that they can hold just about any sort of material. Some teachers steer clear of ‘messy’ materials like rice, sand and water but if you have an adequate tray (and some dustpans and brushes!!) it really doesn’t make that much mess. 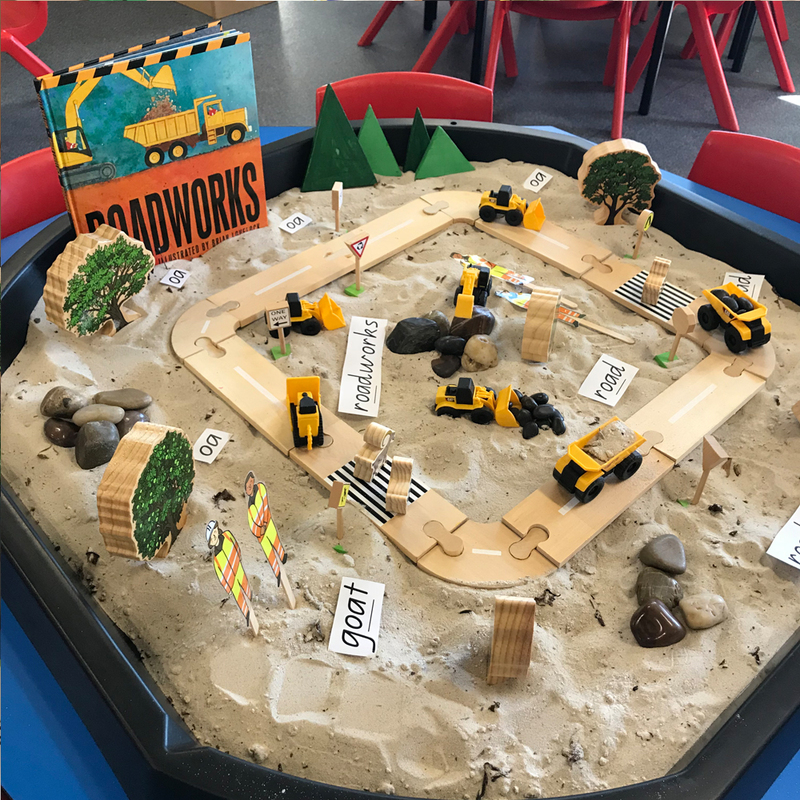 One of our favourite activities involving sand has been a ‘roadworks’ set up when we explored the digraph ‘oa’ as part of our phonics learning. My students absolutely LOVED using the construction vehicles to transport the sand and rocks around the tray. 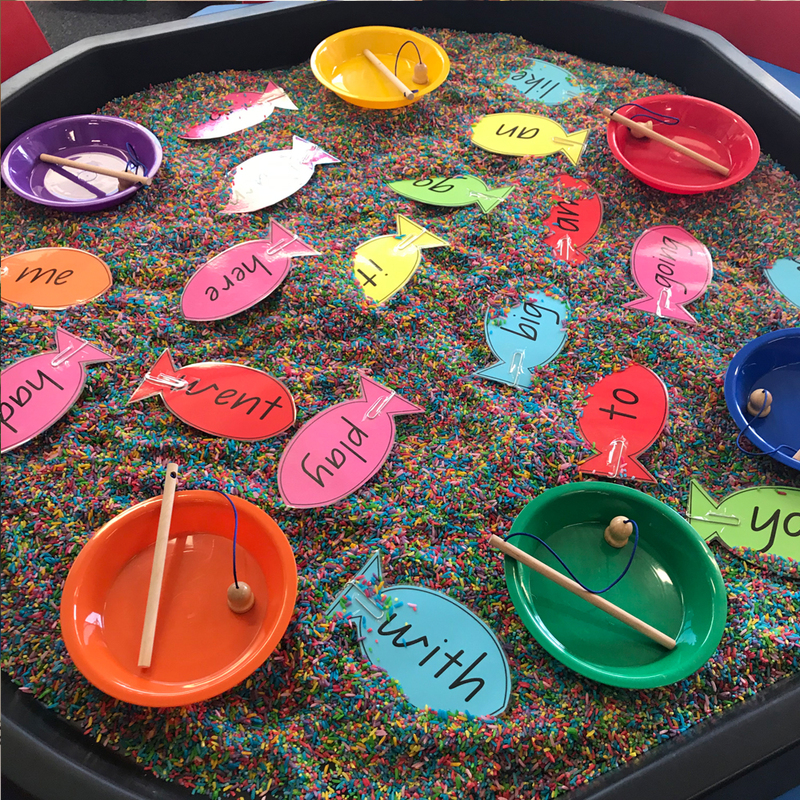 Another great literacy activity involving sand is writing letters or sight words with your finger in the sand – perfect for sensory learners! 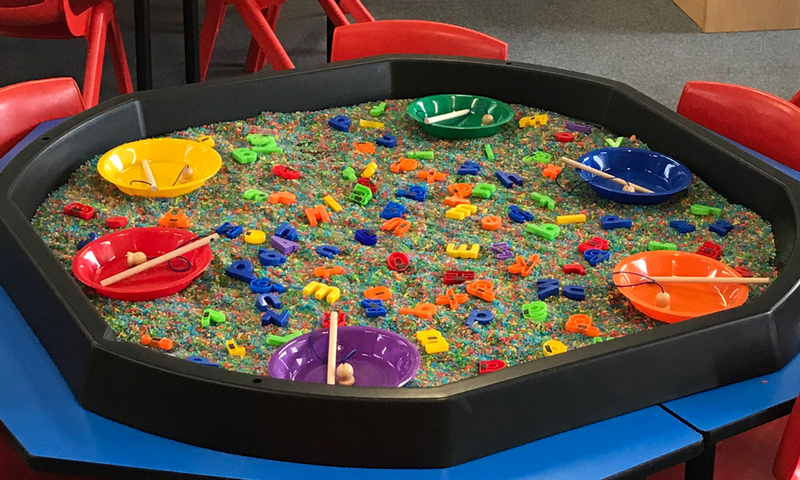 If you’re planning on doing any sensory or messy play in your classroom, I highly recommend keeping a few sets of dustpans and brushes close by. In my classroom, the students LOVE using the dustpans and brushes to clean up sand that has escaped the tray. If you make this a “special job” you will have kids lining up to clean – I promise! These trays can hold just about anything – including water! When we do water based activities, we always set our tray up on the verandah outside our classroom. This way, it doesn’t matter if some water gets spilled and it is easy to tip the water into the garden when we are finished with the activity. One of our favourite activities we have done with water in our tray is ‘fishing’. Students were given a number word card and had to read it before catching the correct amount of fish and putting them in their bowl. 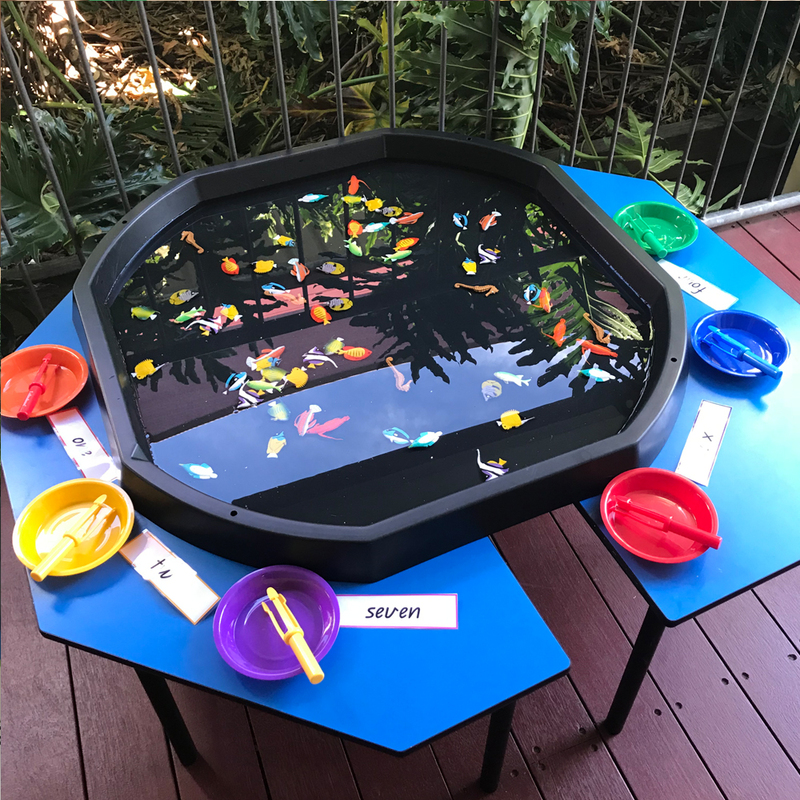 They used the tongs to catch the fish in the water and put them in their bowl, which was an extra opportunity to develop fine motor skills within this numeracy focused activity. Do you have an Active World Tray? What activities do you like doing with yours? Previous PostPrevious How Do You Store Your LEGO®?